Have an iPad? And also I'd like a MacBook Air, but still can not afford it? ClamCase Surely you remember the words to a good and economical solution for it . So if this is your case, I recommend you to take a look at this new accessory for iPad. 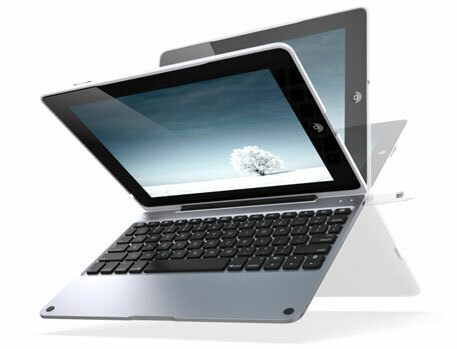 This is a made ​​up of a keyboard accessory that mimics the MacBook Air and a housing that holds the iPad. States are the ClamCase Pro, an affordable solution for those who can not afford a MacBook Air and also do not mind "imitate" (and limit, of course) with your iPad. Appearance and protection. That's what this new accessory offers much cheaper and pretty aluminum finish. It connects via Bluetooth, its battery provides up to 100 hours of use, is compatible with the iPad 2, iPad 3 and iPad 4 and is available in three finishes: white, black or silver. It is on sale for $ 169 (about 127 €). At present, the estimated ship date is in February, but if you are interested you can get it at the link below.